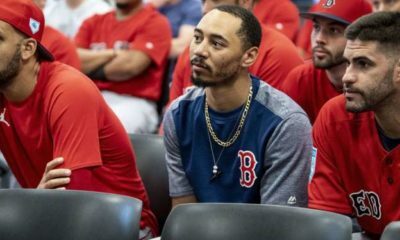 With The Red Sox catching fire in the second half, The Yankees are feeling the pressure to add some pieces. With that being said, they lost their most potent bat on Thursday with a chip fracture in his right wrist in Aaron Judge. 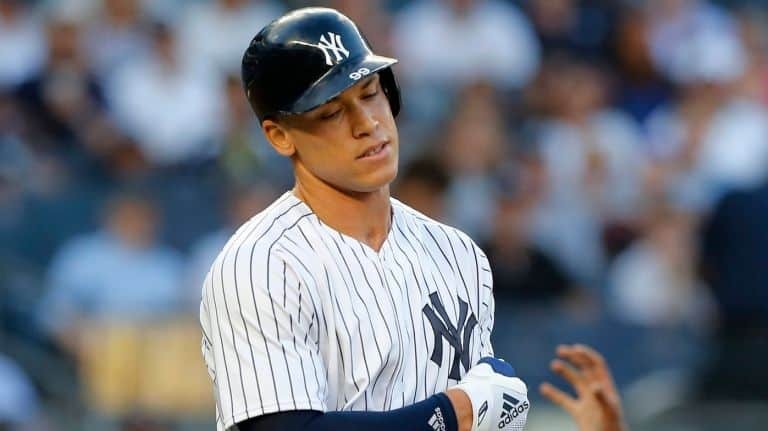 Judge lost his way in the second half of the season last year but remained red-hot to start the second half this season, which many attribute to not taking part in the home run derby this season. His 2018 season as a whole is the best of Judge’s young career, hitting .285 with 26 home runs and 61 RBI’s on the season and was red hot at home-hitting .375 with 18 homers and 44 RBIs at Yankee Stadium this season. New York is currently 4.5 games out of first place in the AL East, and Boston has gone from +150 to -140 to win The AL East. Losing Judge is a huge blow, however, The Yankees are back to their old ways and trading for some high priced rentals. New York acquired probably the best reliever in baseball in Zach Britton from division rival Baltimore this past week as well, which is saying something considering their bullpen already boasts Aroldis Chapman, David Robertson, Dellin Betances, and co. New York just went from automatic with a lead in the 7th, to automatic in the 6th as the rich got richer. Britton’s 2018 stats currently sit at 1-0 with a 1.26 ERA, 1.26 WHIP, and 14 strikeouts in 16.2 innings. They also acquired some much-needed rotation help in former Blue Jay’s lefty J.A Happ as the AL East seems content to give away their talent to a division rival for young prospects. Happ has had a down season in 2018, but he is still posting a respectable 4.18 ERA through 114 innings, and a change of scenery, behind that offense, may be a recipe for success. New York is still at a disadvantage as they are most likely to have to play a one-game wildcard game where anything can happen, especially with the lack of a quality ace for that game. I’m buying into Boston to win the division, and it’s actually at a nice price due to The Yankees moves. The last domino to fall from a gambling perspective with Judge being out for the next three weeks is the most home runs bet. Judge was fifth in baseball with 26 home runs. JD Martinez has 31 (+300), Jose Ramirez 30 (+450), Mike Trout 28 (+700) and Khris Davis (+20000)[-not a typeo.] I think you can pick two of these guys and make some money so I’ll take JD Martinez and Jose Ramirez with a little bit on Khris Davis. Where to start, where to start. The Chicago Cubs acquired veteran left-handed pitcher Cole Hamels for a bag of baseballs from The Texas Rangers which could end up being the best pick-up of the whole deadline as Hamels has been a true ace for a very long time, but he isn’t the same pitcher. Him leaving a losing environment and thrust into the back end of the rotation for Chicago and that offense is a match made in heaven as they have two proven lefty aces back to back now with him and Jon Lester. The Cubs need bullpen help but don’t have much in the way of prospects anymore. The Orioles Brad Brach would be ideal. The Astros have every piece in place for their rotation and line-up but everyone can use more depth. The Marlins Derek Dietrich would be a great fit in a super utility role. They have also been linked to White Sox first basemen Jose Abreu. The LA Dodgers made the biggest splash acquiring Manny Machado, but they may not be done. 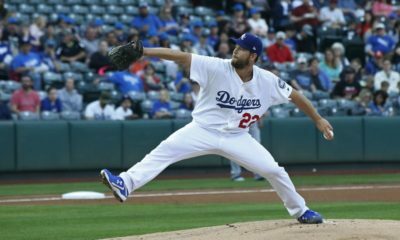 They need rotation help until Julio Urias gets back, so a cheap rental may be their best bet. Zack Wheeler would be a sneaky pickup. 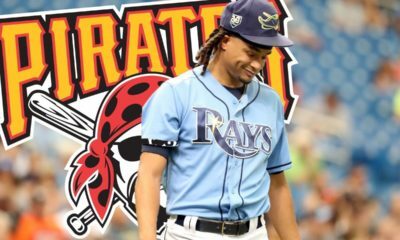 The Atlanta Braves, in my opinion, shouldn’t give up any of the young talents they have stockpiled just because their rebuild happened quicker than expected, but they have been linked to Chris Archer. My biggest pieces of unwanted advice to The Braves make sure they sign anyone they acquire to a long-term deal before agreeing to a deal, as they have some of the best young talents in baseball and will be very good for a very long time. The Milwaukee Brewers lead wire to wire in their division in the first half of the season only to lose the division lead three days before the all-star break. Milwaukee needs starting pitching badly, as they always seem to need. They have been known to make a splash though, getting Sabathia before his Yankees departure. I think Danny Duffy would make a ton of sense from The Royals, Michael Fulmer from The Tigers, and even a player like Anthony DeSclafani from Cincinnati. It’s a buyers market, that’s for sure as there is likely to be no household names moved at the deadline. For teams in the driver’s seat leading their division, there isn’t a ton of help out there. Boston could look to add some bullpen help or rotation depth, perhaps a second basemen after getting Nate Eovaldi. The Cubs don’t have a ton of prospects. Houston is already loaded with not many needs, Cleveland can sleepwalk into the playoffs and will get Andrew Miller back soon after acquiring Brad Hand, Philadelphia and Atlanta need to hold their young talent, and LA already made their splash, it should probably be a pretty quiet deadline.